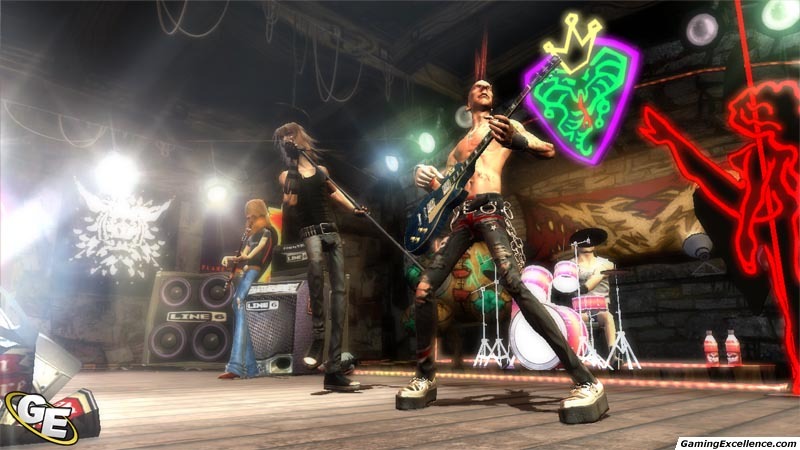 Guitar Hero undergoes an evolution with a new developer at the helm. One of the great success stories to come out of the video game industry in recent years is that of Guitar Hero. Using an innovative plastic guitar controller with five fret buttons at the neck of the guitar, and a strum key at the base, wannabe rockers no longer needed to undergo such annoyances as actually learning to play the guitar in order to rock out. Apparently there is an enormous market for people who would rather pretend to play guitar than actually do so, myself included. This fall, video rockers will get another heaping helping of guitar madness, with a few improvements and tweaks thrown in for good measure. 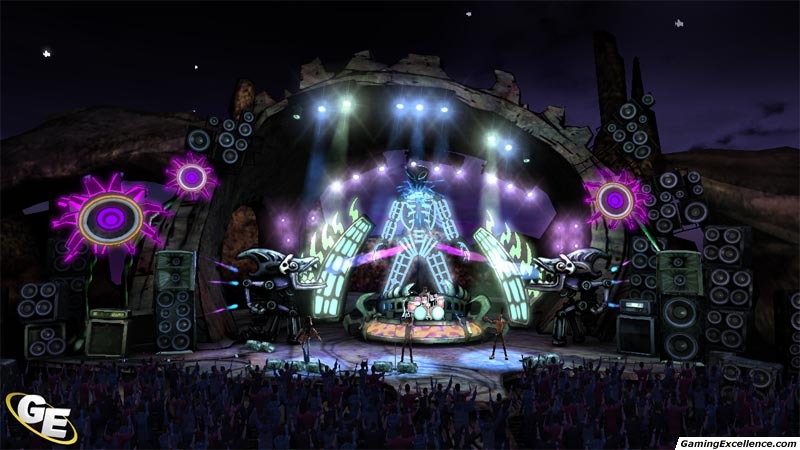 The original developer of the game, Harmonix, has moved on to another high profile project, EA and MTV's Rock Band. In their place for Guitar Hero III is the Tony Hawk series developer, NeverSoft. RedOctane and Activision are still on board, which has ensured that GH III still plays and feels like the now classic Guitar Hero you know and love. The first and very welcome improvement to the game is seen before the disc even touches the console. Now, every version of Guitar Hero III will come with a fully wireless guitar. The new guitar is proportioned quite well, and uses the Gibson SG as its inspiration with an attractive black finish. The buttons now are outlined with their respective colour rather than being completely filled in, giving the guitar a bit more of a realistic look. That's not to say that the guitar looks real, because it's still not even remotely close to the real thing. It still looks like a toy, but it looks like a much sleeker toy than before. It's about the same size as the old ones, which is to say, a little small. Still, the buttons and the strum keys felt solid on the two guitars I got my hands on, particularly when compared to the Gibson Xplorer controller for GH II on the 360. Gameplay is pretty similar to past Guitar Hero titles, which is a good thing. Notes still come at you at varying speeds depending on your difficulty setting. As the notes cross over a line at the bottom of the screen, you must push the corresponding fret button(s) and strum the note. If you've never played before, it takes a bit of practice to get used to, but it's an intuitive and extremely fun simulation of playing guitar. Having played Guitar Hero II to the point of beating it on expert, I was able to jump right into Guitar Hero III and rock out on the same difficulty. If you've played past titles, you will be able to easily jump in and play on whichever difficulty you are comfortable with. I found the timing in GH III to be a little more lenient than in the past title in its timing. In GH II you had to be perfect in your timing to hit the note pretty much exactly as it passed through the line at the bottom. Here, expert difficulty felt about on par with hard mode in GH II. 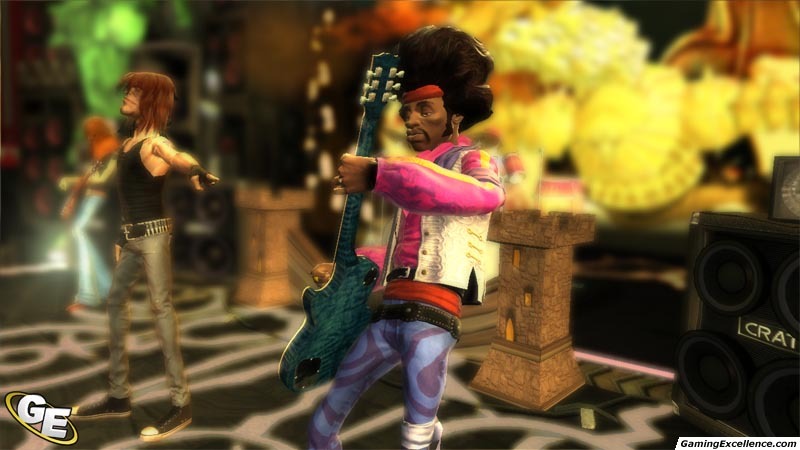 Throughout the single player game, players will be required to face off against Guitar Legends such as Slash from Velvet Revolver and Rage Against the Machine's Tom Morello. These encounters take the place of the encore tracks during the career mode, and are an interesting concept for the boss tracks. While the single player game seems to be more of the same, NeverSoft has put a big focus on new multiplayer features. The feature that I am the most excited about is that co-op mode is being expanded into its own career mode. Now you'll only need to decide who gets stuck with bass and who gets lead guitar. Everyone wants to be Paul McCartney, but George Harrison? Perhaps not as much. There's also a new battle mode that introduces the use of "weapons". Using weapons is similar in concept to hitting a steak in Tetris. By playing well on your side, you can cause undesirable effects that stand in your opponent's way of rocking. The way it works is that Star Power is given the axe in favor of the weapons in battle mode. Therefore, all you have to do to screw your opponent over is tilt your guitar to 90 degrees. Weapon effects include turning lefty flip on or sticking the fret keys. Among the awesome new additions to the game is the promise to rock off with or against other players over Xbox Live. NeverSoft has also improved the graphics slightly. Characters are more detailed with more options for clothing, and the frame rate seems to be running smoother than the past titles. Everything looks sharp, clean, with a fun art design. All in all, GH III is looking like a fine addition to the series, and one that will not disappoint fans. The real question is: Can Guitar Hero stand up to the juggernaut that is Rock Band? It works in Activision's favor that Guitar Hero III will be released in October, possibly two months before Rock Band's expected release date. If you're antsy and can't wait to try the game out, Activation will be distributing a five track demo on the 360 version of Tony Hawk's Proving Ground.